Since a Big 4 of thrash metal exists, how about a Big 4 of doom metal? 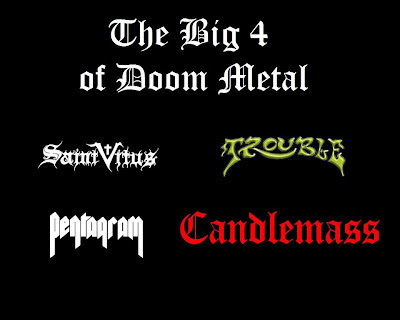 Saint Vitus, Trouble, Pentagram and Candlemass all helped shape that genre and a Big 4 lineup featuring all of those bands would be one hell of a tour. They all excelled and made doom metal popular. Unlike the other three bands, Candlemass is from Sweden, but their music has become an important American phenomenon in over the last few decades, and yes, this is one reason why they’re in the lineup. Over a two year period, from 1984 to 1986, all four of the Big 4 bands released defining debut albums; Saint Vitus released their eponymous album, Trouble released "Psalm 9," Pentagram released "Relentless" and Candlemass released "Epicus Doomicus Metallicus." 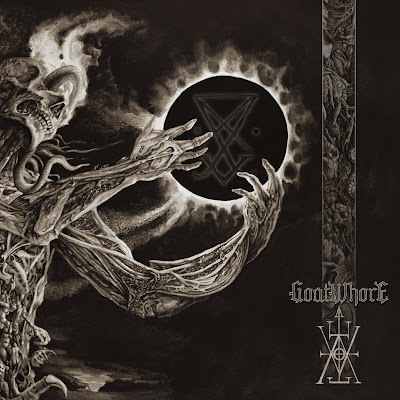 Not only did all of those albums give the scene a united front and further the awareness of doom metal as a genre, but they would influence and inspire many well-known later musicians. Another thing in common about Saint Vitus, Trouble, Pentagram and Candlemass is that they all cite Black Sabbath as an influence. Candlemass recorded a track called “Black Sabbath Medley” on their 1988 album “Ancient Dreams," which is composed of both parts and lyrics to many of their songs, while Saint Vitus named themselves after a song from Black Sabbath’s 1972 album Vol. 4 called “St. Vitus’ Dance”. 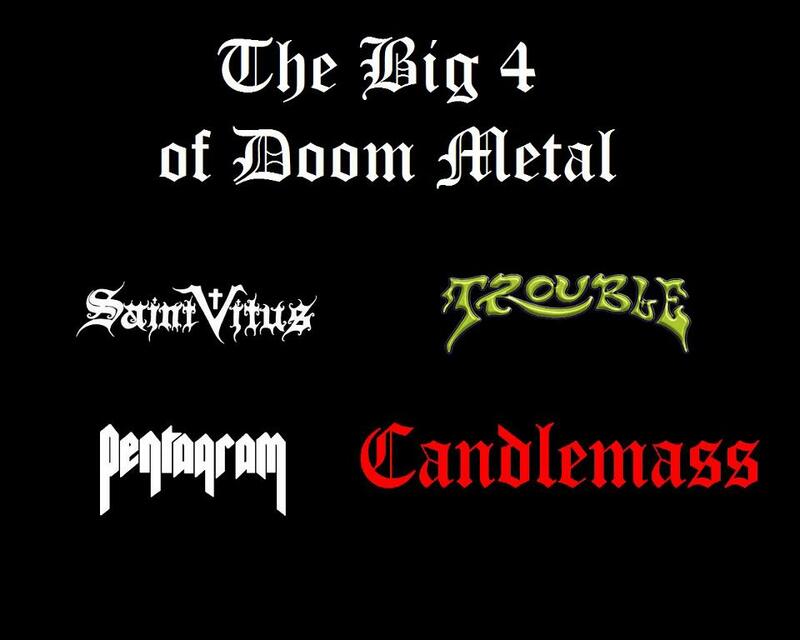 Seeing Saint Vitus, Trouble, Pentagram and Candlemass tour together would be such an honor. We, as fans, would love to thank all of them for their hard work and all the classics they’ve been putting out since the 1980's. If you think the tour should happen, go here to sign the petition. 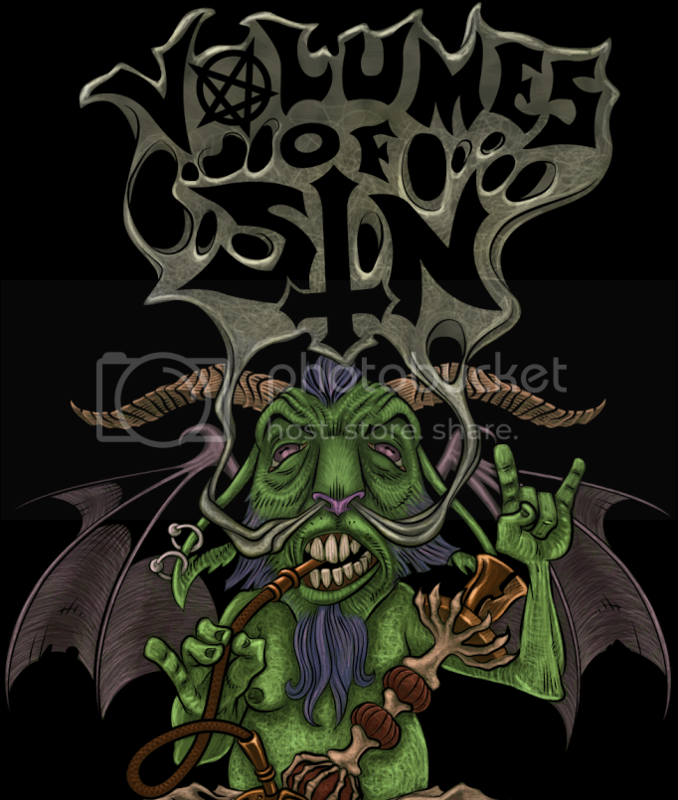 “The Big 4 of Doom Metal” also has a Facebook page, go here to 'like' it.